​Jackie Bradley Jr. hasn't found his stride at the plate, but he is arguably the best defensive ball player in the game. He showcased his defense during ​Boston's game against the ​Orioles on Friday, robbing Joey Rickard of a home run in center field. 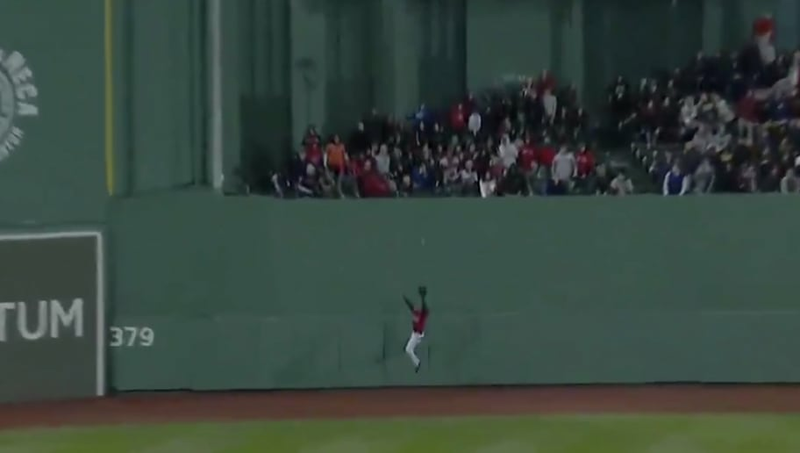 ​​Once again, Bradley Jr. defies all odds as he somehow makes this miraculous catch to keep the game in Boston's favor, 4-2. This was a truly remarkable play from the 2018 Gold Glove winner, showing why he won the coveted defensive award last year.